Real Estate is one of those many fast changing businesses, especially in India now, since GST took place. We expect the impact of Demonetization, implementation of Real Estate Regulatory Act (RERA) and Goods and Services tax (GST), to have a significant impact on the Real Estate sector. 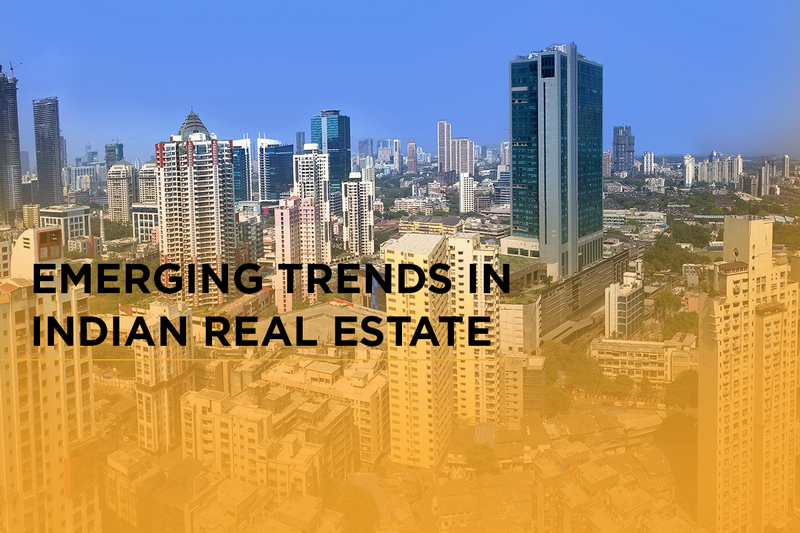 These are few emerging trends in Indian Real Estate Industry we expect to play out. With the implementation of the RERA, and the impact of demonetization, there will be a clear separation of roles of Land Aggregators and Real Estate Developers. During the last few years, many small and medium size land aggregators got in to Real Estate Development. However, with the increased compliances and consumer demands, they will now not have the required skill-set or mind-set to continue being Developers. Over the next few years, the Large Institutional Developers will thrive, whereas the small and medium size aggregators will need to stick to land aggregation or be forced to exit the sector. Projects will need to be adequately capitalized and financial closure now needs to be mapped out before breaking ground on a project. Developers will need to maintain strong Balance Sheets and Reputation, to ensure that their costs of funds are manageable. This will also be an opportunity for Real Estate focused funds to deploy more Capital in the sector. Over the last few years Equity investments in Real Estate had dried up. Most funds were investing only through structured debt routes as they did not have confidence in the regulatory environment, and/or the Developer’s ability to execute projects on time which in turn would affect their Equity IRR’s. However, with the transparency and conditions that RERA will help enforce, funds should get confidence to take Equity risk, backing few Large Developers to consolidate the sector. This government has done a better job in ensuring that the pace of Infrastructure development, is faster than previous years. Better connectivity will open up new micro markets around Metro’s, this will help decongest cities and boost Real Estate development, specifically the affordable housing segment. Over the past few years Developers have used International Architects and Construction firms on projects in India. This has enabled the transfer knowledge and technology, which now also being used by local design firms and contractors. We expect the quality and efficiency in construction to significantly improve over the next few years. Residential real estate development has a lion’s share of approximately 85% of the real estate development in the country. We expect that non-residential development which includes Industrial, Hospitality, Retail and Commercial Real Estate development to grow at a faster pace than the previous few years. Lastly, with the transparency and accountability that RERA brings in, minimization of black money due to demonetization, we expect the sector to get more institutionalized over the next few years. Similar to the financial markets, analysts will be able to accurately track project data and performance of developers through the RERA website, on a quarterly basis. Developer will be held accountable and hence needs to setup systems and processes to become more institutional.